Yes, we finally joined Pinterest! Finding it super useful so far, a great and easy way to collect all those links in the right places! You can visit our boards even if you dont have an account, so please do check it out 🙂 Let us know if you want a specific board added. Click the logo below! 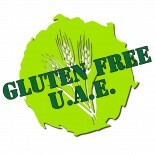 This entry was posted on 19/08/2012 by glutenfreeuae in Uncategorized.